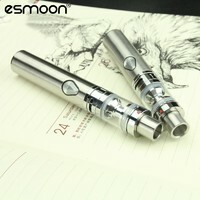 1) CL kit, which adopts newest child proof lock design, can keep children away from the e-liquid. 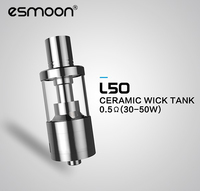 2)Newly-added SS316 coil and e-liquid top refill design make it remarkably user friendly. 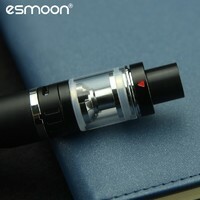 3)Its detachable structure and replaceable structure glass design makes it easier to operate and clean. 4)2ml atomizer capacity meet the newest European TPD standard. 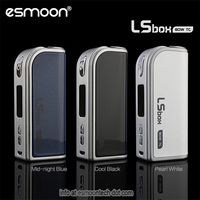 1.Please tell us(info at esmoontech dot com) your requirements, such as : color, capacity and etc. Lead Time: Samples in 24 hours, Wholesales 3~7 working days according to different quantities. 1. Paypal (suit to order value less than 1000 USD). 2. Western Union, Bank transfer. 3. 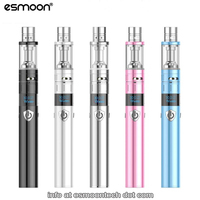 T/T, 30% deposit and the balance clear before shipping your goods. 3.The shipping cost varies in different location, also depends on specific weight. We will recommend the cheapest and safest way according to your detailed quantities. 4.Shipping period varies depending upon your location. Normally, it will take around 3-7days from China to destination country, but some remote places need 1-3 days more. 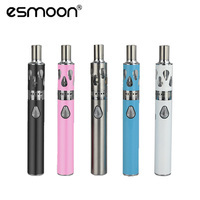 Shenzhen Esmoon Electronic Technology Co., Ltd.
Other products from Shenzhen Esmoon Electronic Technology Co., Ltd.